Given the historically high corporate tax rate in the United States, transfer pricing has been an area of particular concern to the Internal Revenue Service (IRS).2 Accordingly, the US has developed a comprehensive regulatory regime to ensure that related taxpayers engaging in cross-border transactions do so at arm's length. There are three prerequisites for a reallocation under Section 482. First, there must be 'two or more organizations, trades, or businesses'. Second, these organisations must be 'owned or controlled directly or indirectly by the same interests'. Finally, the IRS must have determined that reallocation is 'necessary in order to prevent evasion of taxes or clearly to reflect the income of any of such organizations, trades, or businesses'.9 The regulations interpret these requirements in the broadest possible sense. The requirements for ownership or control are similarly broad. Ownership may be direct or indirect. Control may be any kind of control, whether direct or indirect, legally enforceable or not. Control for the purpose of Section 482 also exists where two or more taxpayers are acting in concert or with a common goal or purpose.13 The regulations make it clear that the reality of the control is what is 'decisive, not its form or the mode of its exercise'.14 An arbitrary shifting of income or deduction raises a presumption of control. This broad definition of control allows Section 482 to be applied to enterprises owned by different members of the same family or in different proportions by a group of persons. a general index of the principal and background documents and a description of the record-keeping system for such documents. A taxpayer must provide its transfer pricing documentation to the IRS within 30 days of the IRS's formal request for such documentation during the audit. It is typical for the IRS to make this request with reference to Section 6662(e) (the relevant penalty provision) at the outset of the audit. If a taxpayer has not prepared such documentation at the time of the return filing, there is no general requirement to prepare any such documentation during an IRS examination. However, during the examination the IRS will request support for the transfer pricing adopted by the taxpayer. If the taxpayer does not provide any support, the IRS will evaluate the appropriate transfer price based on its own economic analysis, and, if that analysis results in a price supporting a tax deficiency, the IRS will assert accuracy-related penalties under Section 6662(e). Acceptable methods vary according to the nature of the transferred item (i.e., tangible or intangible property, or services). What is key is that the method ultimately employed by the taxpayer should be the result of a comparison between methods that determines the best method (known as 'the best method rule').19 In general, for tangible property, the CUP, resale price, cost-plus, comparable profits method (CPM), profit split and unspecified methods are all acceptable. For intangible property, the IRS accepts the comparable uncontrolled transaction (CUT), CPM, profit split and unspecified methods. With respect to services, the IRS accepts the services cost, comparable uncontrolled services price, gross services margin, cost of services plus, CPM, profit split and unspecified methods. For CSA buy-ins, technically called platform contribution transactions or PCTs, the IRS accepts the CUT, income, acquisition price, market capitalisation, residual profit split and unspecified methods. The IRS has shown a clear preference for the income method in determining an appropriate buy-in valuation. In scrutinising a taxpayer's return position, the IRS may request to interview key personnel. The IRS has broad authority under Section 7602 of the Code to examine the books and records of the taxpayer and this can include interviews. Section 7603 empowers the IRS to issue an administrative summons to require a taxpayer to provide information and to submit to an interview; however, a taxpayer can oppose such a summons in court on various grounds such as privilege or administrative defects in the issuance of the summons. Further, the IRS is not limited to seeking information from the taxpayer. The IRS can and does seek relevant information from third parties such as accounting firms who may have advised the taxpayer, outside financial auditors, banks or other parties. Section 7609 of the Code authorises the IRS to issues summons to third parties. In no event is a taxpayer required to create new documentation as the authority of the IRS is limited to an examination of the books and records supporting the filing position. Interviews are not a routine audit practice. For the most part, a taxpayer will satisfy the IRS information needs through a combination of documents and written responses to questions, called information document requests or IDRs. It can also be helpful to both the IRS examiner and the taxpayer for the taxpayer to make a presentation to the IRS regarding the transfer pricing transactions and supporting economic analysis. Such presentations can feature the key taxpayer personnel who took part in the implementation of the transactions. Apart from information exchange agreements and treaty provisions, the IRS is generally limited in its authority to obtain information outside the jurisdiction of the United States. U.S. MNE groups will be subject to CbC filing obligations in other countries in which they do business if the United States does not implement CbC reporting. Thus, a decision by the Treasury Department and the IRS not to implement CbC reporting will result in no compliance cost savings to U.S. MNE groups. In fact, failure to adopt CbC reporting requirements in the United States may increase compliance costs because U.S. MNE groups may be subject to CbC filing obligations in multiple foreign tax jurisdictions. In addition, CbC reports filed with the IRS and exchanged pursuant to a competent authority arrangement benefit from the confidentiality requirements, data safeguards, and appropriate use restrictions in the competent authority arrangement. If a foreign tax jurisdiction fails to meet the confidentiality requirements, data safeguards, and appropriate use restrictions set forth in the competent authority arrangement, the United States will pause exchanges of all reports with that tax jurisdiction. Moreover, if such tax jurisdiction has adopted CbC reporting rules that are consistent with the 2015 Final Report for Action 13 (Transfer Pricing Documentation and Country-by- Country Reporting) of the Organization for Economic Co-operation and Development (OECD) and Group of Twenty (G20) Base Erosion and Profit Shifting (BEPS) Project (Final BEPS Report), the tax jurisdiction will not be able to require any constituent entity of the U.S. MNE group in the tax jurisdiction to file a CbC report. The ability of the United States to pause exchange creates an additional incentive for foreign tax jurisdictions to uphold the confidentiality requirements, data safeguards, and appropriate use restrictions in the competent authority arrangement. The IRS and 32 foreign tax agencies have entered into competent authority agreements to exchange taxpayers' global tax and profit reports with foreign jurisdictions. Nine more foreign agencies are in negotiations with the IRS to execute such agreements. These bilateral agreements would allow US multinationals to file their global tax and profit reports with the IRS instead of with foreign jurisdictions. Controlled transfers of intangibles are generally tested under arm's-length principles, similar to other types of controlled transactions. The arm's-length standard for transfers of intangibles is not necessarily satisfied by a royalty rate equal to the prevailing rate within the same or similar industry or the rate under an uncontrolled transfer that is not comparable to the controlled transfer.26 There is one method that is unique to determining transfer pricing for licences and other transfers of intangible property – the CUT method.27 As in the case of the determination of tangible property transfer pricing, the CPM and profit split method may be used for intangible property transfers.28 Also, some other reasonable method may be devised for an intangible transfer if it can be shown to be the best method under the circumstances.29 Each of the first three methods must be considered in determining the best method under Section 482 and its regulations. Settlements of transfer pricing disputes with the IRS can be accomplished in several ways. The ordinary settlement method is through the IRS Office of Appeals. IRS Appeals is engaged only after the taxpayer and the IRS examiners cannot agree on an adjustment.30 Another avenue for settlement is after the taxpayer brings a dispute to federal court. Indeed one of the largest transfer pricing disputes in the IRS's history was settled after extensive litigation in the US Tax Court.31 A third method of settlement is through the competent authority process. The competent authority process can be initiated during the examination phase or after an initial settlement conference with IRS Appeals. Appeals is the official settlement arm of the IRS for disputes arising from audits.32 It is staffed by appeals officers located in 11 appeals offices throughout the country. The Chief of Appeals, located in the IRS National Office in Washington, DC, is the top IRS appeals executive, and is assisted by the Deputy Chief of Appeals in his or her duties. An appeals officer is charged with making an objective evaluation of the taxpayer's case based on the hazards of litigation. Importantly, the Appeals Office is independent from the IRS audit team that has proposed the adjustments. An appeals officer learns of the taxpayer's position regarding the proposed adjustments primarily through the taxpayer's protest letter. The protest letter is addressed to the IRS audit team supervisor. 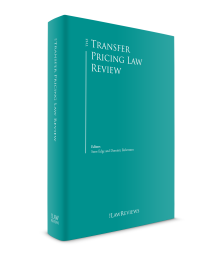 In some instances, a taxpayer may supplement its original transfer pricing analysis with an independent economist analysis and provide such analysis with its protest. The IRS audit team then forwards the protest letter to the appropriate appeals office, along with the audit team's written rebuttal to the protest letter. It is possible that the IRS audit team, upon review of the protest letter, may change its legal analysis to respond to the taxpayer's argument, or may in fact be persuaded to concede. Appeals' review is an informal consideration of the contrasting positions. There is no testimony or formal hearing process. Instead, the appeals officer will convene a series of meetings to assist the officer in evaluating the litigation risks for both sides. It is typical for Appeals to include transfer pricing experts on its team in dealing with these disputes. They may also consult with a staff economist. The first (pre-conference) meeting allows the IRS audit team to explain its position on the various adjustments that it proposes. IRS legal counsel is likely to assist in that presentation. Because an appeals officer may not have ex parte communications with the audit team, a taxpayer must be allowed to attend this meeting. If, after settlement discussions, the taxpayer and the appeals officer agree on a resolution, Appeals will prepare an internal memorandum to record the analysis of the case, and for approval by his or her supervisor. The appeals officer will then prepare either a Form 870-AD or a closing agreement for the taxpayer that contractually binds the taxpayer and the IRS to the terms of the settlement.33 If no settlement is reached, the appeals officer will prepare either a statutory notice of deficiency, giving the taxpayer the opportunity to seek relief in the US Tax Court, or a Form 870, which obtains the taxpayer's consent to the immediate assessment and collection of any tax due. Most taxpayers will elect to receive a statutory notice of deficiency. However, some may wish to pursue their case in court after payment of taxes, and so will request a Form 870, pay the tax due and begin proceedings for filing a tax refund action in federal district court or the US Court of Federal Claims. As with any IRS examination, the first step of an audit is the delivery of a notice of audit letter, sometimes called an appointment letter. This is a standardised letter that is sent to the taxpayer's address on file and, along with identifying the year or years under audit, includes a request for certain general business information and proposes a time for a meeting. What precedes the selection of a taxpayer for audit is a process of risk analysis. The IRS reviews income tax returns and, through a combination of algorithms and review of disclosure forms, decides which taxpayers present the highest compliance risk. Schedule UTP (Uncertain Tax Position) is one such disclosure form. In that form, businesses having assets of US$10 million or more must identify return positions for which they either recorded a reserve on their financial statements or for which they did not record a reserve but expect to litigate. Transfer pricing positions can present uncertainty and will be reflected on a business's Schedule UTP in that circumstance. Moreover, the IRS Large Business and International Operating Division or LBI has recently modified its audit methods to focus on high-risk areas. They have adopted what is called a 'campaign method', whereby specific issues are targeted in an integrated manner. Campaign issues typically are those that present a high risk of non-compliance in the view of the IRS. A number of campaign issues have been announced by the IRS. Although to date only one is specifically transfer pricing related (inbound distributor pricing), IRS officials have indicated that transfer pricing more broadly is an area of high concern. Generally, the IRS must assess tax within three years from the time of filing of the return. The IRS can request the taxpayer to agree to extend the assessment period. This is usually in the taxpayer's interest because otherwise the IRS will be forced to make a protective assessment, which will always be an inflated amount. If efforts to resolve an issue within the administrative apparatus of the IRS have failed, a taxpayer has the option to file suit in federal court. A taxpayer thus is able to have its 'day in court' on the tax issue that the IRS has raised. As a matter of jurisdiction, there are four potential judicial venues in which to raise a federal tax claim: the US Tax Court, the US Court of Federal Claims, a federal district court or a bankruptcy court. where the taxpayer is most likely to prevail upon appeal, if necessary. The specific circumstances of the case and issues involved will, of course, affect the answer to some of these questions. Thus, where the precedent gives a distinct advantage on the merits of the issues, this will improve the chances of settlement in that forum and the chances of prevailing in litigation. The US Tax Court may have more or less favourable case law than the refund courts. On the other hand, the US Court of Federal Claims, a tribunal separate from the federal district courts, may have the most beneficial case law. A taxpayer should retain counsel to carefully analyse the applicable precedent in each forum, as this is one of the most important factors to consider in the choice of forum. Several major companies are disputing proposed IRS adjustments, including Coca-Cola, Inc, which is disputing in the Tax Court a US$9 billion proposed transfer pricing adjustment, Amazon.com, Inc, Microsoft Corp, and The 3M Company. Recent trial court decisions include Amazon v. Commissioner, Medtronic v. Commissioner, and Wycoff v. Commissioner. Amazon's dispute is indicative of current IRS enforcement practices in the transfer pricing area. Like many multinational companies, Amazon entered into cost-sharing agreements with its foreign subsidiaries. Pursuant to the applicable Treasury Regulations, those subsidiaries were required to make 'buy-in' payments to reflect the value of pre-existing intangibles provided by Amazon for the development of the operations of its foreign subsidiaries. Among other issues, the IRS in audit focused on the value of the buy-in payment. To that end, the IRS audit team engaged outside economists to analyse and opine on the value of the pre-existing intangibles. The economists issued a report that concluded that the value of the intangibles was more than 10 times higher than the value used to determine the buy-in payment. The economists used a specific valuation method, the discounted cash-flow method and collected three sets of data (future cash-flow estimates, cash-flow timing and a discount rate) in the application of that method. In its petition to the Tax Court, Amazon attacked the discounted cash-flow method and compared it to the method used by the IRS in Veritas Software v. Commissioner, in which the Tax Court found that the IRS's determination was arbitrary, capricious and unreasonable.35 Amazon prevailed in the Tax Court. On 23 March 2017, in a reviewed decision of the Tax Court, Judge Lauber rejected the IRS's US$3 billion proposed transfer pricing adjustment against the online retail giant. Because of the IRS's unreasonable disregard of certain critical facts, the Tax Court determined that the IRS had abused its discretion and threw out the proposed deficiency. The Tax Court then considered Amazon's specific transfer pricing determinations and agreed with some and disagreed with others and came to a final ruling largely upholding Amazon's tax return position. In June 2016, the US Tax Court decided not to completely side with either the IRS or Medtronic in Medtronic v. Commissioner, instead fashioning its own solution in the US$1.36 billion tax dispute. The court found that the IRS's adjustments to Section 482 allocations were arbitrary and capricious. However, rather than accepting Medtronic's proposed allocations, the court came up with its own solution. Medtronic, a Minnesota corporation, is a leading medical technology company, servicing clients around the world. Medtronic has an affiliate in Puerto Rico called MPROC that manufactures cardiac rhythm disease management and neurological devices and leads. In 2002, the IRS audited Medtronic. The Commissioner was concerned that Medtronic was shifting too much money to its affiliate, MPROC. Medtronic, in turn, agreed to lower the amount being shifted to the Puerto Rican affiliate. The agreement specified that the royalty rates for MPROC would be 44 per cent for devices and 26 per cent for leads. This agreement was memorialised in a memorandum of understanding (MOU). The Commissioner reviewed Medtronic's tax returns for 2003 and 2004 and agreed with how the MOU was being applied. In 2007, the IRS again audited Medtronic and determined that Medtronic owed an additional US$84 million because of a revision under the MOU. In 2009, the Commissioner determined that MPROC's royalty payments should be increased by another US$455 million. Medtronic appealed this and in 2010, it was sent back to the Commissioner for re-examination at his request. In December 2010, after consulting with an expert, the Commissioner issued Medtronic a notice of deficiency for approximately US$1 billion for 2005 and 2006. In July 2014, the Commissioner adjusted the deficiencies up to US$1.36 billion. The Tax Court had to determine whether the IRS had abused its discretion in proposing the deficiency. In its analysis there were two main considerations: whether the Commissioner abandoned a prior position; and whether the Commissioner's adjustments were unreasonable because they did not give enough credit to the work MPROC does. The court found that because the Commissioner was not bound by positions taken in a previous year, the Commissioner had not abandoned the position taken. However, the court sided with Medtronic in finding that the Commissioner's allocations were arbitrary, capricious and unreasonable, because the expert report that the Commissioner relied on to determine the allocations did not give the appropriate weight to MPROC's role in the production process. The IRS had determined that MPROC was merely a routine manufacturer and thus shifted 90 per cent of the income back to Medtronic. On the contrary, the court determined that MPROC had significant independent responsibility, particularly with regard to quality control. This was especially important considering that the products being manufactured were medical technologies used in life or death situations. Thus, concluded the Tax Court, MPROC was far from an average manufacturer and the profits should not be allocated to the US parent as asserted by the IRS. In this case, the US Tax Court agreed with the IRS's application of the CPM in finding that management fees paid by an S corporation to a related S corporation were not at arm's length. The taxpayers, a married couple, owned two S corporations (Sirius Products, Inc and Restore 4, Inc) that sold household chemical products. The taxpayers also owned another S corporation, Albion Management, Inc., where they served as president and secretary, respectively. To reduce their corporate income tax liability, the taxpayers had Sirius and Restore pay significant management fees to Albion. The IRS disputed the arm's-length nature of the fees as excessive, and denied them deductions of nearly $12.8 million as a result. As with many transfer pricing cases, the Section 482 issue in this case largely came down to a battle of experts. The court found that the use by the IRS expert of the CPM was reasonable and produced the most reliable measure of an arm's-length result under the facts and circumstances. As noted, the IRS is entitled to impose special transfer pricing penalties under Section 6662(e) of the Code. As with any other assertion of a tax liability, a taxpayer can seek IRS appeals' review and settlement of any such penalty and can also dispute penalties in court. The United States does not impose a diverted profits tax (DPT). It is unclear whether payment of such tax could support a foreign tax credit against any US tax liability of any taxpayer subject to a DPT because creditable tax must be in the nature of an income tax in the foreign jurisdiction. Taxpayers can request the assistance of the US competent authority when the taxpayer believes that the actions of the United States or a treaty country result or will result in taxation in violation of treaty provisions. The US competent authority can assist taxpayers under the mutual agreement procedure articles of US tax treaties through consultations with the applicable foreign competent authorities but may also unilaterally act. The grant of such authority by the mutual agreement procedure articles of US tax treaties is separate from and in addition to the authority under such articles for the US competent authority to consult generally with foreign competent authorities to resolve difficulties or doubts regarding treaty interpretation or application, irrespective of whether the consultation relates to a current matter involving a specific taxpayer. There are two offices within the US competent authority: the Advance Pricing and Mutual Agreement or APMA programme office, and the Treaty Assistance and Interpretation Team (TAIT) office. APMA handles issues relating to the business profits and associated enterprises articles of US tax treaties and will handle double taxation issues that arise as a result of an allocation made by the IRS under Section 482 or by a foreign tax authority under its own version of Section 482. TAIT handles issues arising under other articles of US tax treaties. The United States does not impose value added tax or goods and services tax. Transfer pricing adjustments proposed by the IRS typically propose a decrease in the value of the imported goods (which would result in a refund of duties to the importer). This is the opposite of what the customs agency, US Customs and Border Protection (CPB), typically proposes (i.e., higher import prices and therefore duties). In general, CPB will accept adjustments resulting in a refund of duties to the importer if certain criteria are met, for example, that a written transfer pricing determination policy has been adopted prior to importation and the policy takes into account Section 482 of the Code. CPB also encourages importers to report adjustments using its reconciliation programme, which allows for initial pricing to be provided to CPB with the understanding that it may be subject to change. Efforts by the Treasury and the IRS to curb what they perceive to be aggressive transfer pricing practices will continue to include guidance and audit and litigation. The latest priority guidance plan of the IRS, for example, continues to list guidance under Section 482 including with respect to the treatment and allocation of risk. Further, the US participation in the BEPS project will continue to form the landscape for transfer pricing. As noted, significant tax-reform legislation was passed, effective on 1 January 2018. The legislation reduced the corporate tax rate from 35 per cent to 21 per cent. This reduction alone will cause many US multinationals to reassess their foreign structures and their transfer pricing arrangements. In addition to the rate reduction, the legislation introduced two new cross-border taxes: the base erosion and anti-abuse tax (BEAT) and the global intangible low-taxed income (GILTI) tax. Both were created to combat base erosion conduct of US multinationals. In light of these taxes, US taxpayers will reevaluate their foreign structures and intercompany agreements to minimise their exposure. Finally, a taxpayer-favourable tax change, the foreign-derived intangible income (FDII) provision encourages US taxpayers to keep IP in the US. FDII reduces the tax rate on export income involving IP owned by the US corporation. 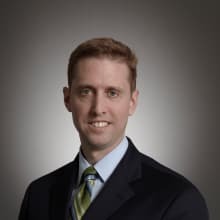 1 Edward Froelich is of counsel and Jessica Stern is an associate at Morrison & Foerster LLP. 2 Profit shifting between multinational companies has cost the US government between US$77 billion and US$111 billion in corporate tax revenue between 1987 and 2012. Kimberly A Clausing, 'The Effects of Profit Shifting on the Corporate Tax Base in the United States and Beyond', 69 National Tax J. 905 (17 June 2016). Not all of this profit shifting arises from transfer pricing abuses, but a significant portion may. However, with the enactment of substantial corporate tax rate cuts and certain cross-border tax legislation effective 1 January 2018, there may be less incentive for multinational US companies to engage in transfer pricing as a tax avoidance vehicle. 4 Treas. Reg. Section 1.482-1(a)(1). 5 Treas. Reg. Section 1.482-1(b)(1). 7 IRS, A Study of Intercompany Pricing Under Section 482 of the Code, IRS Notice 88-123, 1988-2 C.B. 458 (1988). 8 Treas. Reg. Section 1.482-7. Under the cost-sharing regulations previously in effect, intangible property acquired through a 'qualified cost-sharing arrangement' was not subject to the general rule of Section 482. Instead, the IRS was only permitted to make allocations so that each controlled participant's share of costs of development equalled its share of the reasonably anticipated benefits of the development. Treas. Reg. Section 1.482-7A(a)(1). The prior regulations remain in effect for transactions occurring on or before 4 January 2009. 10 Treas. Reg. Section 1.482-1(i)(1). 11 Treas. Reg. Section 1.482-1(i)(2). 12 See, e.g., Dolese v. Comm'r, 811 F.2d 543 (10th Cir. 1987) (partnership distributions reallocated among partners, one of whom was the sole shareholder and an employee of the second partner); Rubin v. Comm'r, 460 F.2d 1216 (2d Cir. 1972) (management services income paid by one corporation to another reallocated to a shareholder who performed the management services and controlled one of the corporations); Borge v. Comm'r, 405 F.2d 673 (2d Cir. 1968), cert. denied, 395 US 933 (1969) (entertainment services performed for a controlled corporation, which subcontracted services to third parties, producing profits offset by losses from other activities reallocated to sole stockholder). 13 Treas. Reg. Section 1.482-1(i)(4). 15 See, e.g., Liberty Loan Corp v. US, 498 F.2d 225, 229 (8th Cir. 1974); H Group Holding, Inc. v. Comm'r., T.C. Memo. 1999-334, 21; Kenco Restaurants Inc. v. Comm'r, 206 F3d 588, 593-94 (6th Cir. 2000). 16 In general, the best method is the method that provides the most reliable measure of an arm's-length result. 17 Treas. Reg. Section 1.482-7(k)(2). 18 Treas. Reg. Section 1.482-7(k)(4)(iii)(B). If a controlled participant does not file a US income tax return that participant must ensure that the same information is attached to Schedule M of any Form 5471 'Information Return of a Foreign Owned Corporation' or the equivalent foreign partnership form. 19 Treas. Reg. Section 1.482-1(c). 20 Treas. Reg. Section 1.6038-4. 21 Treas. Reg. Section 1.482-4(b). The recent tax reform legislation changed the definition of intangible for purposes of Section 936 of the Code to include 'goodwill, going concern, workforce in place, and any other item the value or potential value of which is not attributable to tangible property or the services of any individual'. This may have a significant impact on transfer pricing valuation should this definitional change be considered relevant for Section 482 purposes. 22 Treas. Reg. Section 1.482-1(f)(2)(ii)(A). 23 Treas. Reg. Section 1.482-1(d)(3)(iv). 24 We discuss the Amazon case in which the realistic alternative approach was rejected where the taxpayer appropriately applied and followed the CSA regulations. 25 Treas. Reg. Section 1.482-4(f)(2). 26 Treas. Reg. Section 1.482-4(f)(5). 27 Treas. Reg. Section 1.482-4(a). 29 Treas. Reg. Section 1.482-4(d). 30 IRS examiners do not have authority to settle cases based on litigation hazards. However, if the examiners and the taxpayers can agree on a particular valuation, for example by agreeing to a discount rate, a transfer pricing dispute can be resolved at the examination level. Examiners will need to have a non-hazards basis on which to agree to such a resolution. 31 In 2006, the Internal Revenue Service settled its transfer pricing dispute with Glaxo SmithKline Holdings (Americas) Inc & Subsidiaries (GSK). At the time this case was being litigated in the US Tax Court it was the largest tax dispute on record. Under the settlement agreement, GSK paid the IRS approximately US$3.4 billion, and abandoned its claim to a refund of US$1.8 billion in overpaid income taxes. The Tax Court dispute involved intercompany transactions between GSK and certain of its foreign affiliates relating to various GSK 'heritage' pharmaceutical products. The IRS questioned the amount of US profits reported by GSK after making intercompany payments that took into account product intangibles developed by and trademarks owned by its UK parent, and other activities outside the US, and the value of GSK's marketing and other contributions in the US. 32 For disputes with the IRS that have been filed in court, Appeals has no official settlement role (apart from Tax Court cases that have not previously been before Appeals, which are immediately referred to Appeals after the petition is filed in the Tax Court). 33 Form 906, 'Closing Agreement on Final Determination Covering Specific Matters', will bind the IRS and the taxpayer except where there has been fraud, malfeasance or misrepresentation of material facts. 34 While there is a right to appeal to the federal appellate court, there is no right of appeal to the US Supreme Court for tax cases. The Supreme Court takes these cases at its sole discretion. 35 Veritas Software Corp v. Commissioner, 133 TC.297 (2009). 36 As further evidence of this, on January 12, 2018, the Commissioner of the IRS Large Business and International Division (LB&I) issued memoranda with instructions on transfer pricing selection, including instructing examiners to suspend examination of new stock-based compensation issues in cost sharing arrangements and to obtain supervisory approval before changing taxpayers' selection of best transfer pricing method. The IRS is clearly focused on ensuring appropriate cases are brought to court.